Some of the most controversial Irish crime stories in recent years have involved young offenders. Among them the joyrider who killed Gardai Michael Padden and Garda Tony Tighe in 2002; the young brothers who by the age of thirteen had blazed a trail of serious crimes 'from Ballyhaunis to Blackrock'; the boys who killed Alan Higgins for his mobile phone; and the teenage girl who was allegedly pimped by her mother. This book gives us a snapshot of the lifestyles of these youngsters who spend more time in courtrooms than in classrooms. Gangland crime and anti-social behaviour are major political and social issues and juvenile crime is closely linked to both. At the heart of all these stories, more than any other single cause - more than poverty, drugs or learning difficulties,- there is one constant element: dysfunctional families. 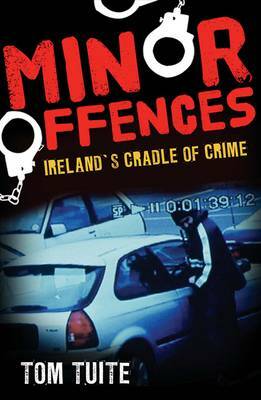 This is the only book on the growing phenomenon of child criminals in modern Ireland and an essential read for anyone who wants to understand what's really going on.